Meredith Eliassen serves as the Curator of the Frank V. de Bellis Collection University Archives and Historic Collections. She stewards the collection of Paul's personal and professional papers, which offers insight into his research and life. 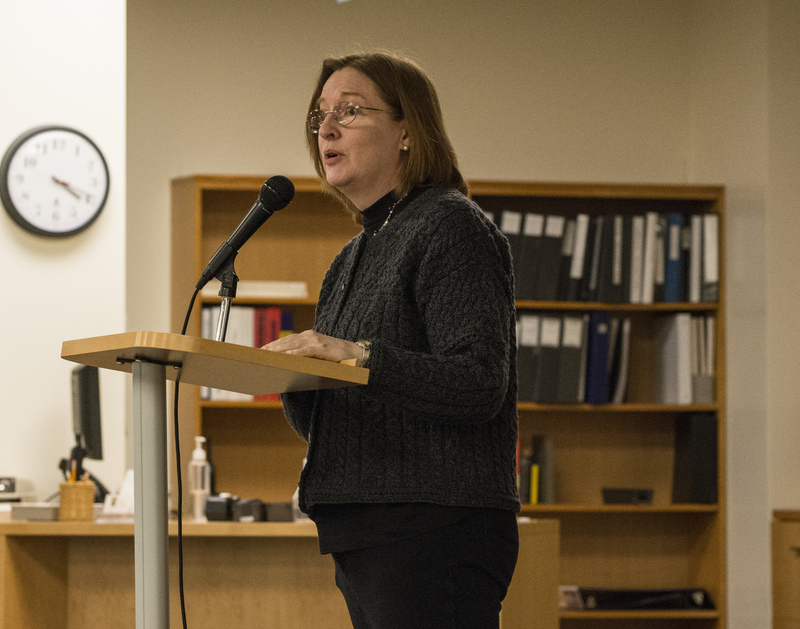 She spoke about the collection at the launch of Telethons hosted at the SFSU Special Collections and Archives. The Paul K. Longmore Papers have been open for about two years, and they have drawn international scholars to the University Archives. They contain his papers related to research and teaching, and researchers have particularly been interested in material related to the League of the Physically Handicapped active during the Great Depression. Longmore was not just a pioneering historian focused on disability studies and bioethics; he was a noted scholar on the colonial period of American history and George Washington. I got to know Paul as one of his students. I grew up in a family where disability was part of the conversation, so after he came to San Francisco State in 1992, I sought him out. In putting together the display in the back of the room, I was also struck by the communications from his students. I was wowed contemplating the profound impact that his teaching and mentoring had on my own career. Paul recruited me to get materials from our Archer Collection into the Disability History Museum... this became my first experience digitizing our collections. I realized that the projects related to my work here that I have been most proud of came right out of his teaching... in particular, a guide I compiled for our KPIX AIDS Collection in the Television Archive. When I described the project to Paul and told him my doubts about doing the work (I am not a medical historian), he responded: “Meredith, if you don’t do it, who will.” And that was enough for me. The Longmore Papers also demonstrate how scholars with disabilities use this library. Longmore really worked our Inter-library Loan Department to get documents; what we have here in his archive, we don’t hold copyright to. However, what we have here is Longmore’s fantastically strategic logic that never wasted time or effort. I continue to partner with Inter-library loan to deliver access to researchers in other regions who need access to this material. However, Longmore did not just teach students about history, he taught students about their own life and times. We reviewed his VHS recordings of telethons and discussed what they really meant. As Kate (archivist of the Longmore Papers) mentioned, Longmore recorded telethons taking copious notes that were transcribed. Longmore taught students to engage with and interpret moving image primary sources with a disability lens utilizing multiple perspectives. Longmore was an ardent critic of popular culture, fearless and unrelenting in confronting networks, editors, (you name it) when necessary. He introducing his students to all kinds of media related to disability in order to teach critical thinking skills. In 2006, Longmore received the prestigious California State University Wang Family Excellence Award in recognition for his pioneering work in the field of disability students and exemplary work as a teacher and mentor.